Hello, I’m Kirbie and I’m a data nerd. There, I said it, phew. You probably really don’t care, but what means to you is that when I am doing a Google® search for something and I see words like “survey results” or “poll” I get all warm and squishy. Recently, I found a poll on how men and women date – so that’s why you just got about 60 words on my nerdiness. The thing I found interesting in the poll, and what I want to talk about today is how to find the right man by dating lots of men. I was surprised, then again if I give it a second thought, not so surprised, to see that women are more likely to date more than one man at a time than a man is to date more than one woman at a time. As you may or may not know, I sometimes do coaching on Gregg’s site. Too often, I come across women who, young or “old”, have not dated many men in their lives. If you’re like me, closer to retirement than college, you may have come from an age of going to college to get your Mrs. degree. While my generation of women was starting to go to college to actually learn a skill and have a career, that was not really the focus for all young women. I dated maybe three guys in high school, marrying one of them 2 years out of high school – and divorcing him 12 years and four children later. So, we married and we divorced, and I was put back into the dating scene in my 30’s with 3 men under my belt, still little confidence and 4 kids. Don’t you feel like ‘and a partridge in a pear tree’ belongs here? I quickly found another guy – after all – I needed to feel loved. I latched onto him and ended up in a very bad, almost dangerous, situation that lasted for a couple of years. From there, I found another guy – also bad, and another – again – bad. Still, I can count on 6-7 fingers the number of men I’ve dated since my divorce – 20 years ago – and I have not been able to find the right guy. It’s no wonder I can’t find a quality guy. I can say that I have gone out on a few first (and only) dates, maybe 4 or 5, during that time, but at 52, I haven’t even dated more than a dozen men. I think I know what kind of guy I’d like, but do I? How can I? There are ‘types’ of men I’ve never even considered, in fact, if I look back, I’ve basically dated two distinct types of guys – the highly driven, well-educated type and the lazy, not-so-well educated type. I’ve never dated a ‘biker dude’ (mostly because of my very real fear of motorcycles), an older guy – or for that matter a younger guy, someone from another country, someone of another race, or a host of other ‘types’. I shy away from professionals like doctors, dentists and accountants, but I have dated a lawyer and my ex was an engineer. I use this filter still to weed out men, even though, something inside me says ‘go for it fool’. Do you have ‘a list’ – a filter? Check out this post on having a list of man criteria. Many of the women I come across through the WhoHoldsTheCards website are in the same boat. My advice to them is to date more men – and I should take my own advice – physician heal thyself – date ‘off’ the list. To that end, I am going to make a deal with you – you try to date more men, and I will too. It’s early August, so I have 5 months left in this year – my goal is to date 15 men during that time. Fifteen first dates at least – to test the waters, and I’m going to try out some of those types I’ve not tried before. 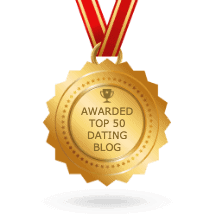 If you would like to join me on my quest to find the right man by dating more men, place a comment below and tell me how many men you’ll commit to dating over the next 5 months. We will help each other! I’ll share my stories with you as I go on, and you can too if you want! Deal?